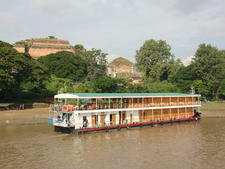 The RV Mekong Pandaw takes its name from the river it travels. 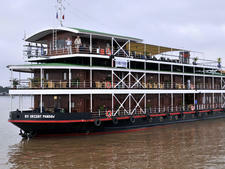 Sailing between Ho Chi Minh City (which the line still calls Saigon) in Vietnam and Siem Reap in Cambodia since the ship's launch in 2003, Pandaw River Cruises was the first modern river tourism company to sail the route. 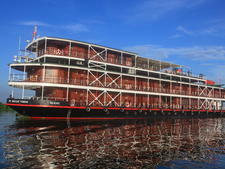 The line since has put three more ships on the Mekong, offering three-, four- and seven-night sailings on a route that takes in Phnom Penh and the temples and monuments of Angkor on its way through Cambodia. 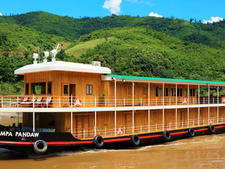 Given that Southeast Asia is quickly becoming an established river cruising destination, an experience aboard Mekong Pandaw is perhaps not quite as much of an expedition cruise as it might have been a decade ago, but it's still a far cry from a trip through Germany's Rhine Valley. 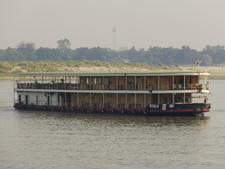 Mekong Pandaw and the rest of the Pandaw fleet are designed with ultra-shallow drafts, allowing the ships to travel during low water and through areas that would be unreachable by deeper-drafted boats. 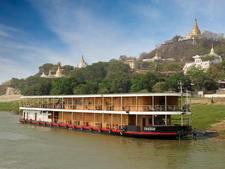 The focus of these cruises is the river and its surroundings. 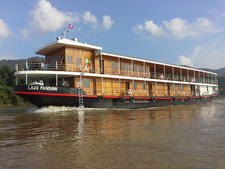 Pandaw cruises still markets its cruises under the expedition moniker, but the line places a firm focus on luxury and comfort, as well. 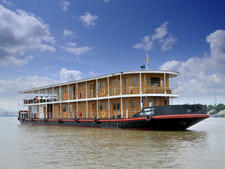 The Mekong Pandaw, which underwent a full refit in late 2013, is decorated in the colonial style, finished in brass and teak. Cabins are the same size throughout the ship at 168 square feet, with reconfigurable twin beds and panoramic French-balcony windows. Cabins include safes, hair dryers, phones, minibars and Thann bath amenities, including shampoo, conditioner, soap and lotion. Suites include Nespresso machines. 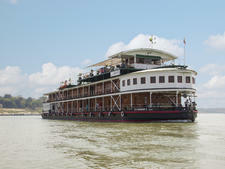 Because of the exotic itinerary Mekong Pandaw sails, satellite television reception is spotty, so cabins don't include TVs. 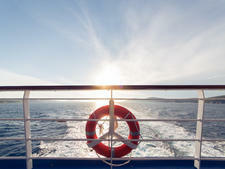 Wi-Fi is available throughout the ship. Passengers receive attentive service, with a crew-to-passenger ratio of 1:2, and the bulk of the activity onboard is geared toward quieter pursuits. The dining room is, in keeping with the line's focus on the outdoors, a convertible open-air space, with retractable walls that only close at night. The top deck space has arranged seating, a billiards table and a bar serving complimentary ice cream. 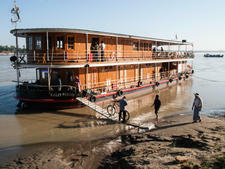 Dining onboard Mekong Pandaw offers both local and western options. Breakfast is a buffet, and lunch is a mix of soup and salad at the buffet with mains served at the tables. Dinner is table served, and there are vegetarian options as well as more traditional European fare for passengers who aren't partial to local cuisine. 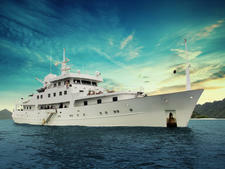 Cruises of seven nights or more offer two theme dinners in addition to the farewell gala dinner. 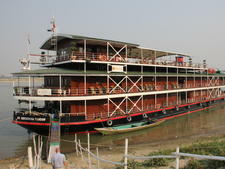 As noted, enrichment and activities are typically low-key and consist of talks from onboard guides, film presentations -- both documentaries complementing the itinerary and mainstream movies -- as well as cooking classes. 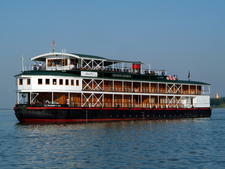 The line offers a minimum of one "cultural performance" during each sailing with acts such as the Royal Khmer Ballet in Cambodia performing onboard. 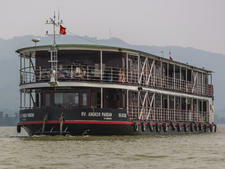 Excursions on Mekong Pandaw are included in the price of the cruise and the ship stops at least once per day and often twice. Shore excursion offerings include explorations of local markets with the onboard chef, guided walks with the regional expert onboard, river and jungle trips by speedboat or city sightseeing trips via cyclos (three-wheeled rickshaw) in Cambodia.